Off Tropic Shadow Palette is rated 4.4 out of 5 by 58. 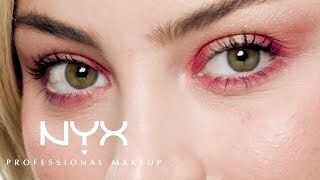 Rated 5 out of 5 by LadyLani from Love NYX! I got one of the Off Tropic palettes, the Steampunk Machinist palette and some lippies as a birthday/Valentine's day gift and I love them! The pigments are so awesome and bright, and the quality is fantastic!